Education students whose plans were derailed when the University of Alaska Anchorage lost accreditation for several of its teacher preparation programs grilled university administrators for more than two hours on Tuesday, each one with a different story about how their life has been upended by the loss. Without accreditation, the university can’t recommend students to the state of Alaska for licensure, meaning those students would not be able to teach at public schools in Alaska or most other places. The state Board of Education will consider students who are graduating this semester or in summer for licensure, but for those who aren’t as far along in their studies, the path forward is less clear. 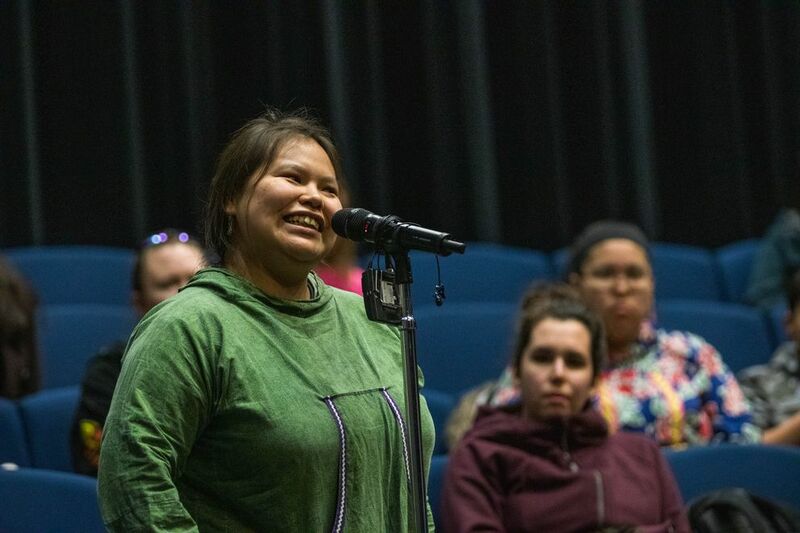 The university has given those students the option to transfer to similar programs at the University of Alaska Fairbanks or Southeast, both of which the are accredited by the same advisory body that rejected several of UAA’s programs, but many students say they’re struggling to navigate the transfer process. 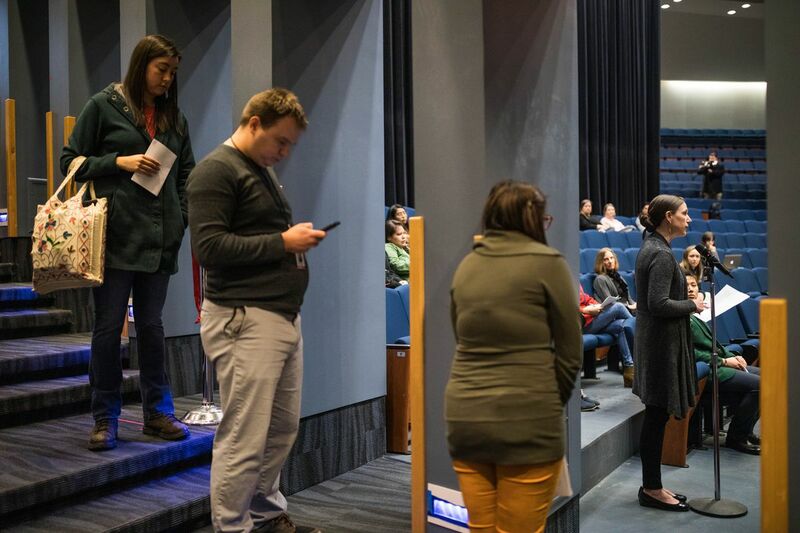 Students lined up to tell administrators about how emails have not been returned, fees are being charged that should have been waived and transfer institutions are not prioritizing UAA students. Many said they feel lost and confused. Some have opted to transfer out of state rather than accept university’s offer. Others, like Samantha Franklin, who recently changed her major from elementary education to psychology, have completely re-evaluated their career paths in order to remain at UAA. “I switched to elementary ed because I wanted to be a teacher, and now I’m probably not going to be a teacher, which is really unfortunate and I’m honestly devastated about it," Franklin said. So far, 25 education students have chosen to change their major because of the accreditation loss, Chancellor Cathy Sandeen said. Even as the university funnels its education students out to other institutions, the future of its teaching preparation programs remains uncertain. Administrators said it’s still undecided whether UAA will reapply for accreditation. 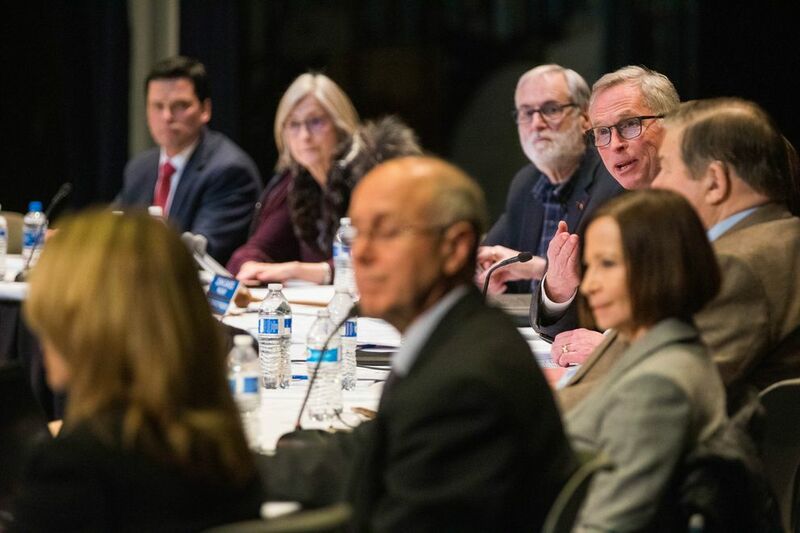 It would take at least three years to regain accreditation, said John Davies, chair of the University of Alaska Board of Regents. In the meantime, the university would have to repeatedly seek short-term approval from the Board of Education. “The certainty of the approval process, the time it’s going to take, the cost, the level of attention that would be required, the alternatives that are available, all those factors would be considered," Davies said. The alternative would be not to reapply. If that happens, the university would do away with programs on either Aug. 31 of this year or in about three years, when students currently enrolled in the program have finished. For many students who showed up to the public forum on Tuesday, that option was unacceptable. “If you choose not to seek re-accreditation, I feel that it would seem as though your failure is insurmountable,” Broberg said. For early childhood education students, the dilemma was a particularly poignant one. Neither UAF nor UAS has an equivalent program, and some students argued that would leave them with no options. It would also render Alaska unable to produce its own teachers for that age group, said early childhood education major Kelsey Hernández.